Light refracts in crystal. The natural interaction between these two elements in a fascinating object has been the vision of this collaboration. 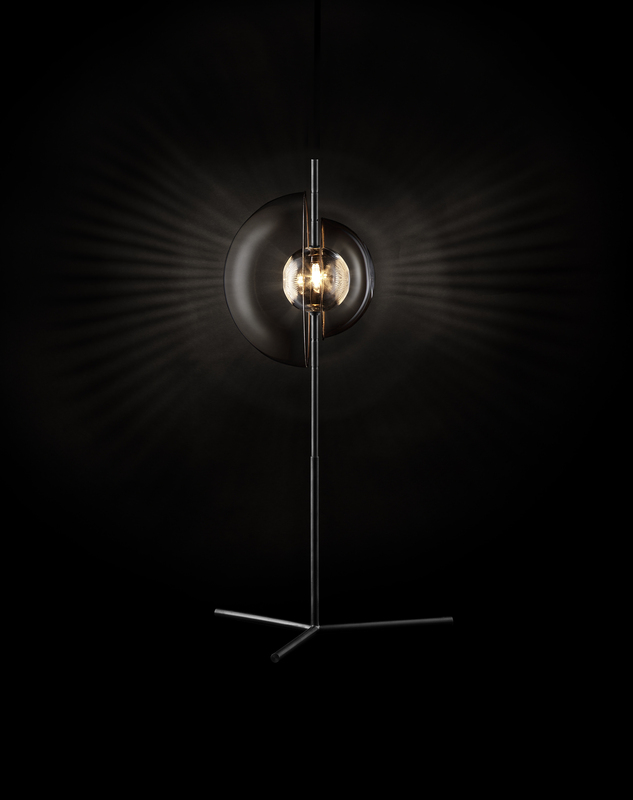 A minimal, elegant and strong metal structure, typical of Michael Anastassiades’ work, gives hold and position to precious crystal parts refined by Lobmeyr. 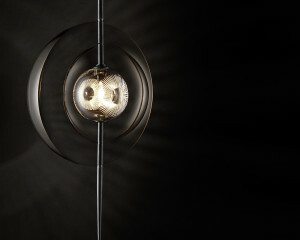 The central glass sphere cut in alternative ways guards the light source and refracts the light. Two hemispheres of different larger diameters indicate further orbits. Light, shade and the interaction between geometry and space make these exciting objects.